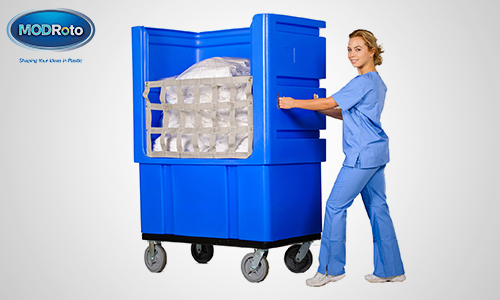 The new, MODRoto 72ERgonomic laundry cart makes moving, loading and unloading large loads of linens fast, easy, and safer than ever thought possible. The 72ERgonomic introduces a breakthrough design concept that sets the company’s signature, spring-loaded, plastic platform that automatically rises as linens are removed within a modern, bulk laundry truck. 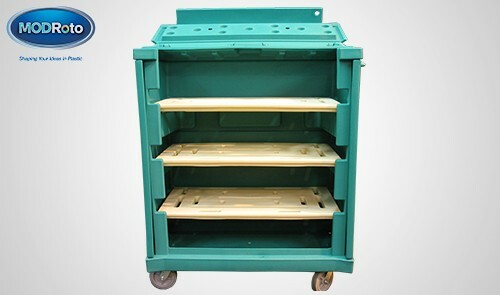 The waterproof platform hides the spring mechanism underneath to prevent contact with workers and linens. 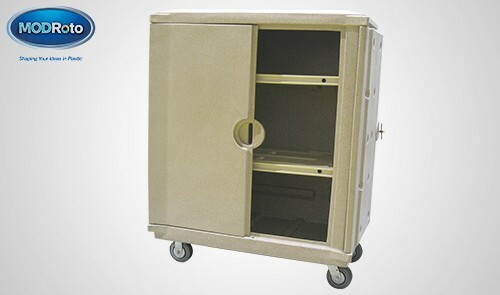 Add an extra low and wide front inviting easy access and bending and reaching down into the linen cart are reduced significantly, along with the potential for workplace injuries. To secure the clean linens and/or soiled laundry during transport, the 72ERgonomic comes with our Secure Net design that criss-crosses the cart front with durable cargo netting. Attached with our proprietary, hook-snap, the reusable netting may be quickly removed for access and/or cart washing and then quickly replaced with no tools. 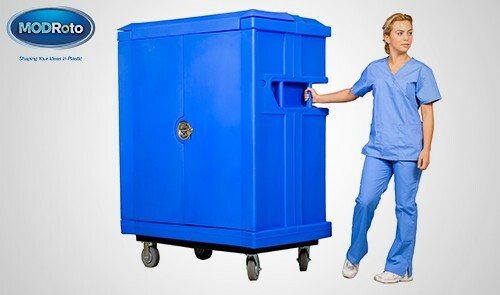 The 72 ERgonomic laundry cart is rotationally molded from 100% waterproof, chemical-resistant polyethylene set atop our powder-coated, steel, full-perimeter support base with industrial-strength, non-marking casters included as standard. Our poly-steel support base is offered as an option. Also, see our 72L/N with an extra wide, ergonomic front opening.